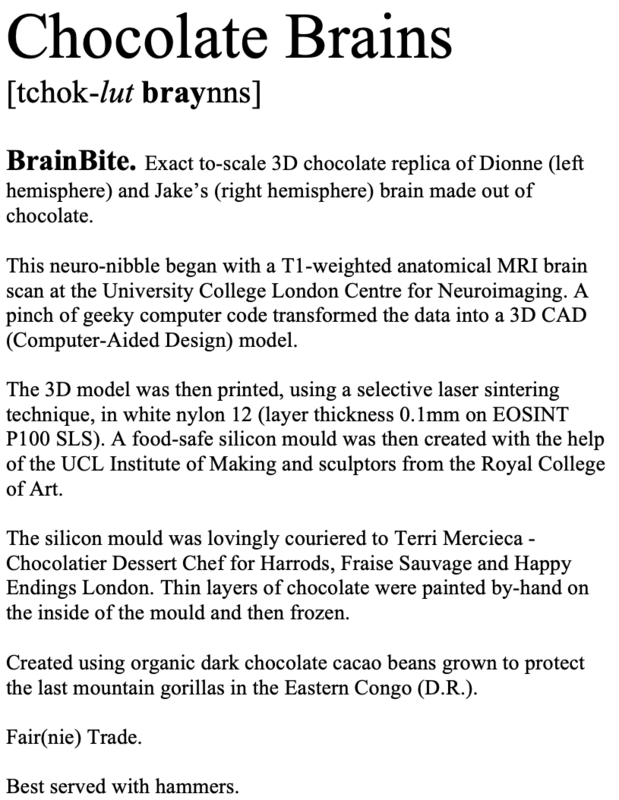 Fairnie's 'Chocolates Brains' are edible life-size replicas of his brain made from chocolate. All brains are created using organic dark chocolate cacao beans grown to protect the last mountain gorillas in the Eastern Congo (D.R. ).